View our Pigeon Forge map to see the parkway, main roads, red lights and numbers, public restrooms, and more. 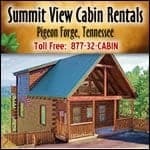 You can also download our map of Pigeon Forge, TN by clicking the link directly below the map. Page Summary: Map of Pigeon Forge, Tennessee with High Resolution download.